When there is snow on the ground and the temperatures way below freezing, and winter seems like it is going to last forever, sometimes soup is the only meal that will take the chill from my bones. There is just something really comforting about a big bowl of creamy and delicious potato soup filled with yummy ingredients. I like to make this soup up in the early afternoon, then I can have one bowl for lunch and then another for dinner. This soup is delicious when served with a salad and grilled gluten free bread. My boys love to see how high they can pile the toppings on to their bowls. 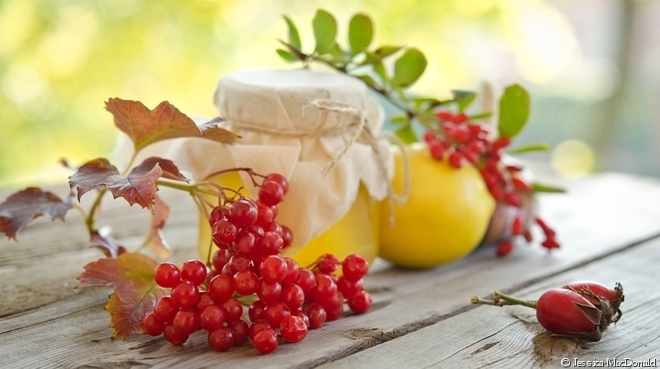 If you are dairy free as well, you can use dairy free milk and vegan cheddar cheese. I now use always use cashew milk in my potato soup and I actually prefer it to regular milk. This weekend, make up a batch of this soup for quick, no hassle weeknight meals. Dice bacon into bite sized pieces. In a large dutch oven, add the bacon and cook for about 10 minutes until crispy, stir occasionally to make sure all of the bacon is cooked thoroughly. While the bacon is cooking, finely dice the onion, celery and carrots in uniform sized pieces. Set aside. Peel and cube the potatoes into 1-2 inch sized cubes, set aside. When the bacon is finished, place the cooked bacon on a paper towel lined plate to drain excess grease. Reserve 3 tablespoons of the bacon grease and discard the rest. If not using bacon, substitute the bacon grease with butter or olive oil. Add the onions, celery and carrots to the reserved bacon grease in the dutch oven and cook for 5 minutes, stirring occasionally. Add the cubed potatoes and mix well. Add the chicken stock to the dutch oven, make sure that you have enough liquid to cover the potatoes, if you need more liquid you can add water. Cook on med/low for 15-20 minutes stirring occasionally. You want to cook until the potatoes are fork tender. In a medium sized bowl add the flour and milk, whisk until well blended. Set aside. When the potatoes are fork tender mash the potatoes with a potato masher breaking up the cubes of potatoes. Add the milk and flour to the soup and mix well. Add half of the bacon and cheese as well as the salt and pepper. Give the soup a good stir to incorporate the milk and flour. Allow to cook for another 5 minutes to allow the soup to thicken up. 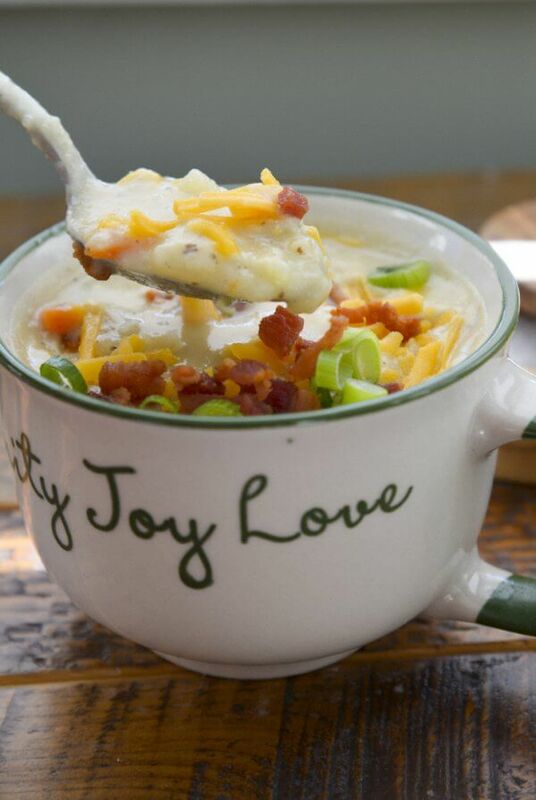 Ladle the soup into serving bowls and garnish with cheese, green onion and bacon - Enjoy! 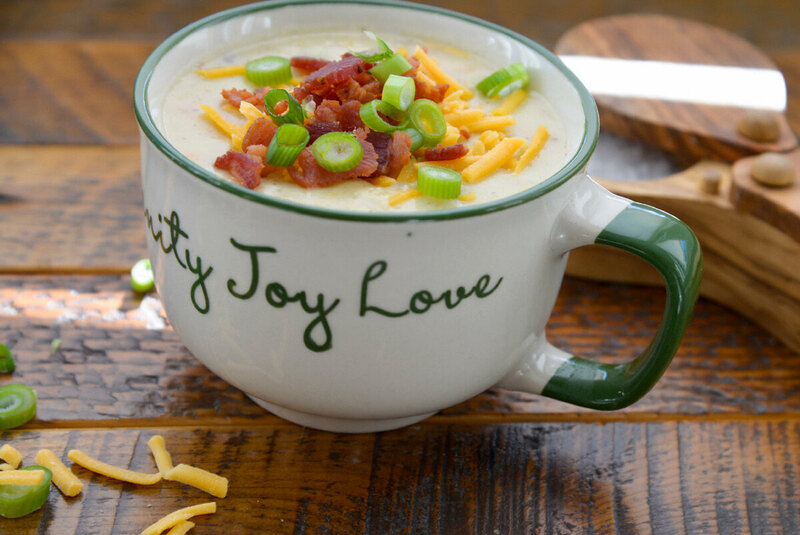 This Loaded Potato Soup recipe is gluten free.